We can all breathe a collective sigh of relief because The Crown has, once again, found its new Prince Philip. Former Outlander star Tobias Menzies is reportedly set to take over the role of the British royal from Matt Smith for The Crown Seasons 3 and 4. Best known for the dueling roles of Frank Randall and Black Jack Randall on Outlander, Menzies also has a recurring role as Edmure Tully on Game of Thrones and currently stars on AMC series The Terror, which also features The Crown alum Jared Harris. Menzies’ casting comes months after Paul Bettany walked away from the role, reportedly due to The Crown‘s extensive filming schedule. Menzies joins Olivia Colman, who is succeeding Claire Foy as Queen Elizabeth and Helena Bonham Carter, who will taking over for Vanessa Kirby as Princess Margaret. 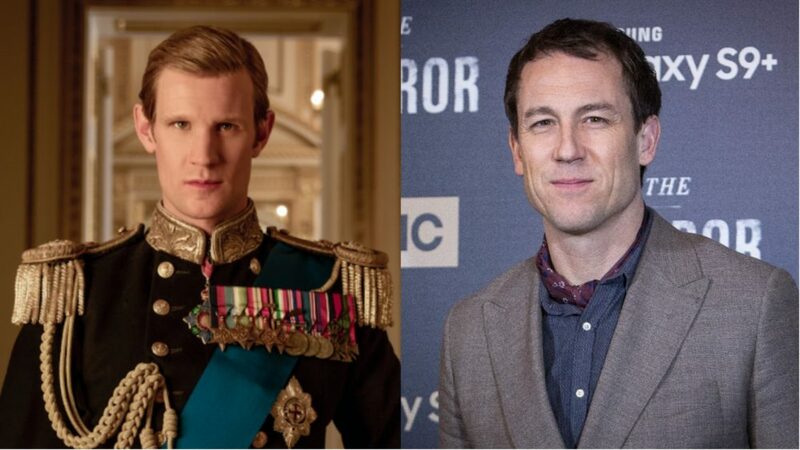 Based on his stature and previous work, we think Tobias Menzies could be a brilliant Prince Philip. Okay, but seriously: The third season of the hit Netflix series will follow the royal family into the 1970s, where we’ll see an adult Prince Charles meet Camilla Shand (aka the future Camilla Parker Bowles), and likely see Princess Margaret and Antony Armstrong-Jones’ marriage unravel. The casting announcement, which arrives via Deadline, follows a few weeks of turmoil for The Crown that began after producers revealed that Smith earned more for his role as Prince Philip than Foy did playing the queen — you know, the titular role. Left Bank, the production company making The Crown, later apologized for the pay inequity. The new iteration of The Crown is set to begin filming this summer.